Hi! 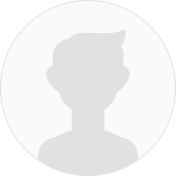 my username in Studybay is PROFKimberlyPHD. I possess a degree in BSc Logistics and Supply Chain Management. I have worked as a marketer in one of the leading diaper production company in Kenya for two years. I taught Business studies, mathematics and chemistry in GCSE and A level for some months before I got the marketing job. Precisely, I knew academic writing while I was in university. A friend of mine introduced me. Well, he used to scoop a lot of money from doing students assignments abroad. This made me draw close attention. Being extrovert, I began to get incorporated. As the clients multiplied daily, my friend gave me some task to handle, the clients responded significantly to my orders, therefore, my friend, called me DRkimberly. The username was developed from then and now am the Ph.D. master! Currently, I have six good years of work experience in freelance writing. So far, I have handled assignments at various academic levels ranging from Undergraduate, Masters, and Doctorate levels. As a professional writer, I have majored in the following disciplines: Business Studies, Finance, Marketing, Management, English and Literature, Sociology, Nursing, Philosophy, Law, Social Sciences, Healthcare, Nutrition, Communication and Media, History, and Political Science. I have exceptional skills in project management tasks and the use of applications such as Excel, Word, PowerPoint, and Access. Besides, I have handled several dissertation papers in construction, law, economics, nursing and also in religion, this can be confirmed from my PORTFOLIO. Amazing job and excellent writer! I got an A- on the paper.